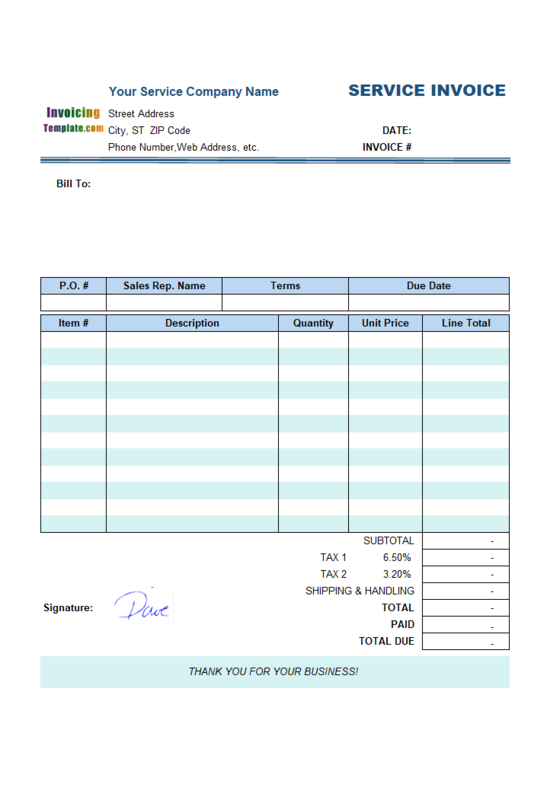 c5019 now includes the customized invoice template for the latest version of Invoice Manager for Excel. This is what you will see when you open autorepair.xlsx. 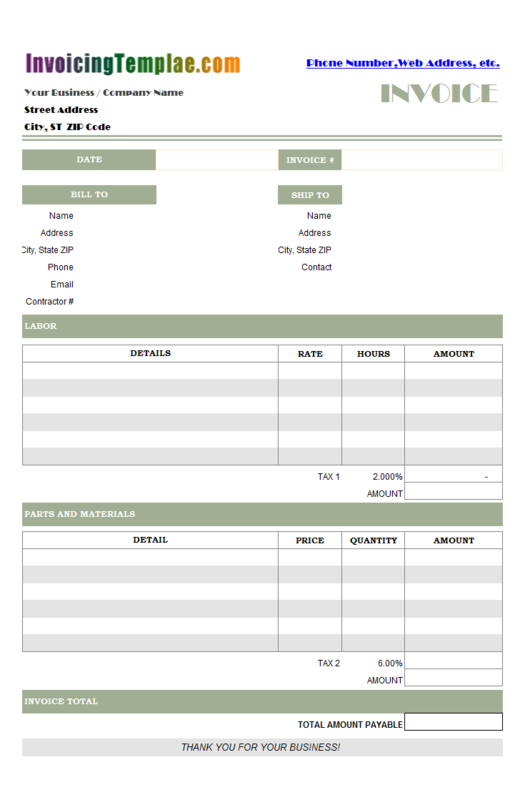 This template is region-neutral so you can easily adopt it to create garage auto invoices no matter where your business is, for example U.S. or Australia. 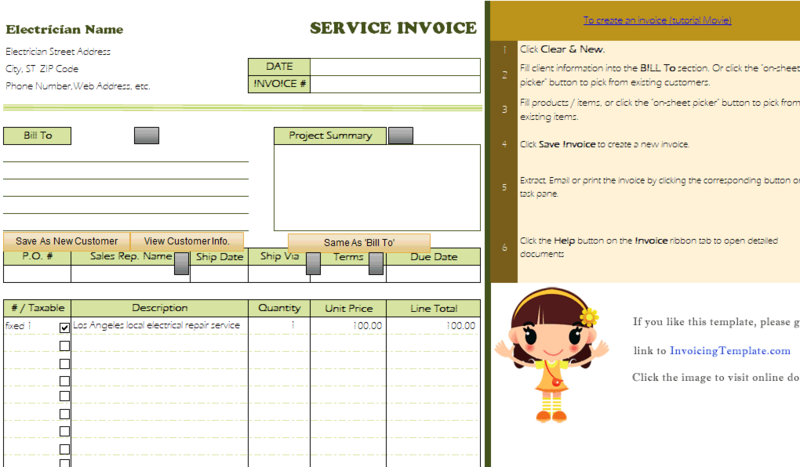 Be sure to install Invoice Manager for Excel to enhance the template with advanced item-lookup-features. 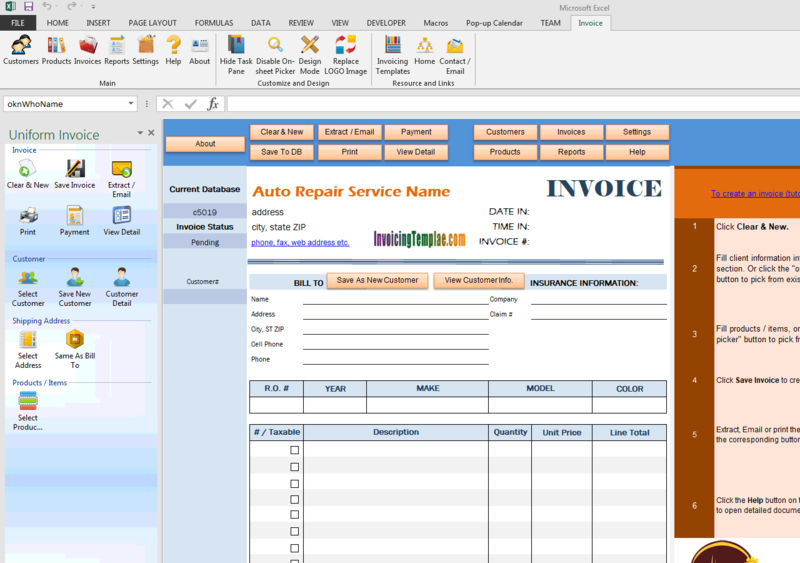 The auto repair invoice template in Microsoft Excel format has 5 columns one the invoice body section within the printable invoice form, including: #, description, quantity, price, line total. 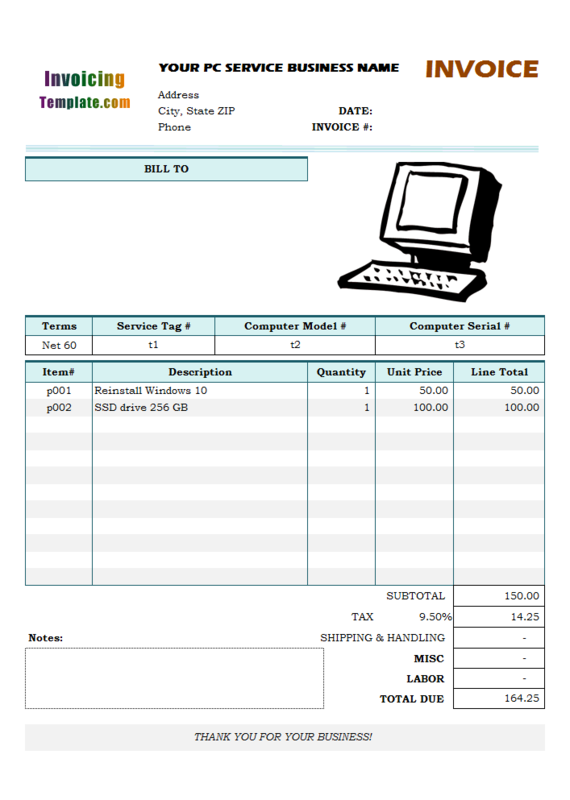 The free auto repair invoice layout does not include shipping fields, just like the other service invoice templates available online here on InvoicingTemplate.com. 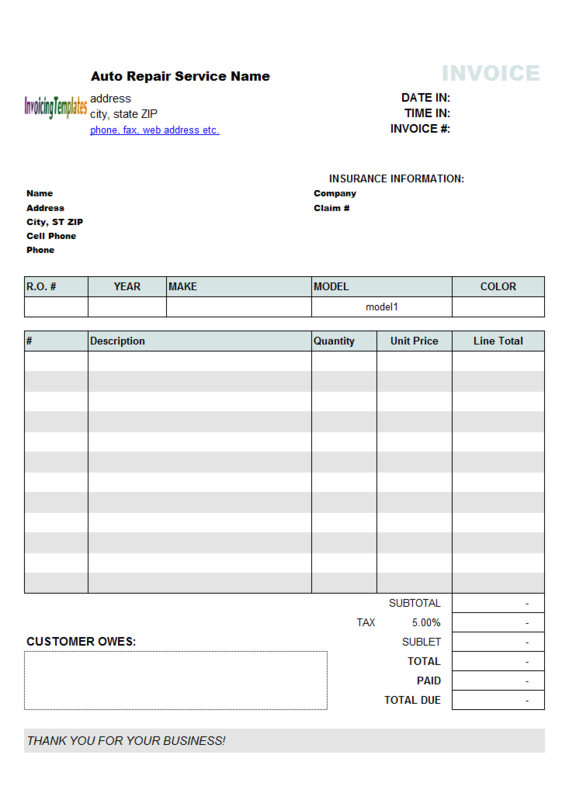 The unique features that are available only in this auto repair invoice sample are the fields for insurance information, including Company and Claim#, and the fields for vehicle information, such as Year, Make, Model and Color. 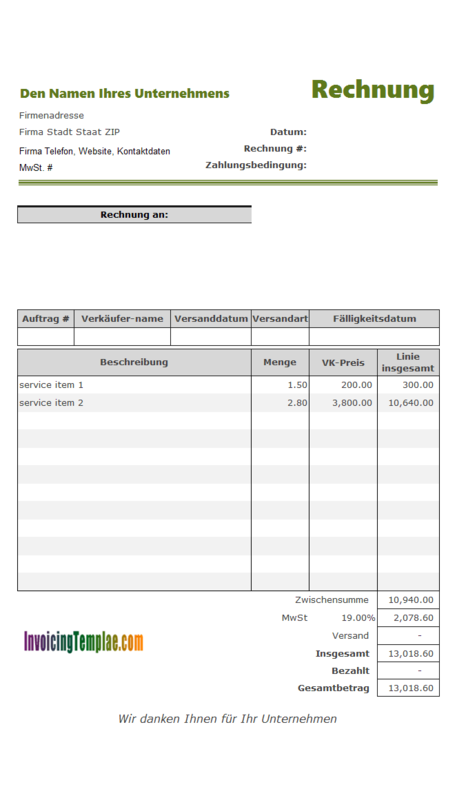 This makes the car repair invoice template an ideal tool to draft your invoices. 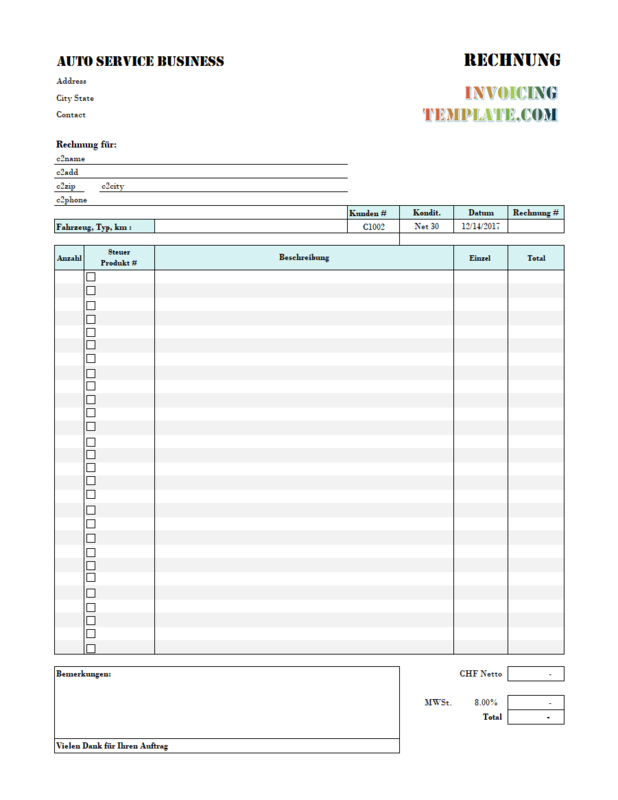 This invoice template is also one of the good examples on customizing the invoice template. 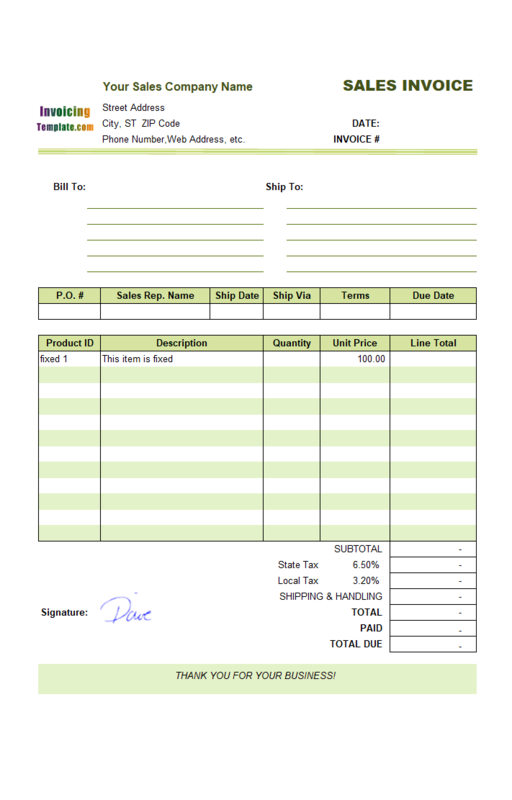 On the top of the invoice form, there is also a "Time In" field below the "Date In" field (which is usually labeled with "Invoice Date" on most invoice templates here on InvoicingTemplate.com). 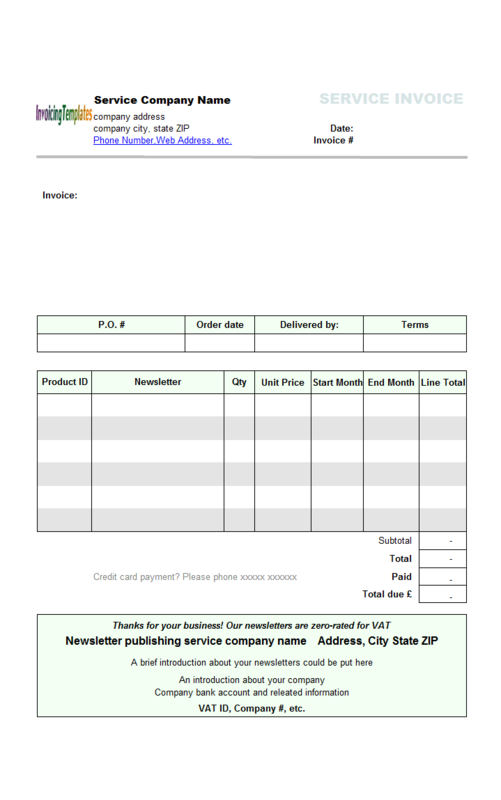 We've kept the Shipping Cost field inside the printable auto repair invoice form. 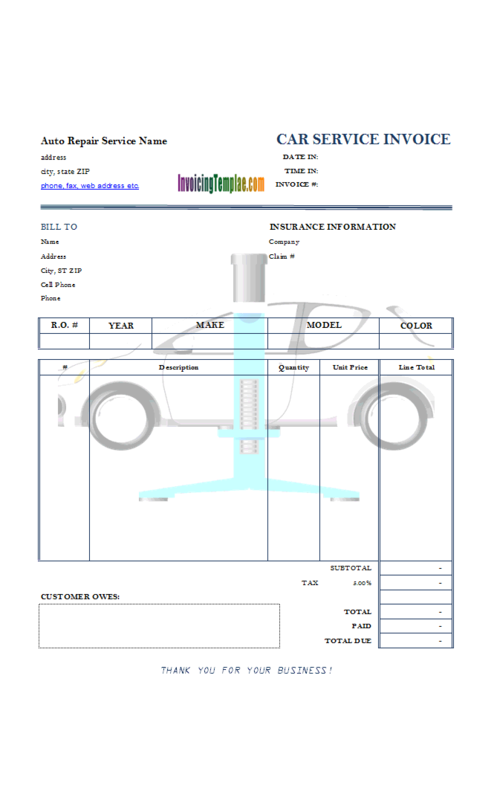 Auto repair invoice template was originally published on office-kit.com with detailed instructions on customization, at Auto Repair Invoice Template (C5-019) and Invoice template for automotive repair business. 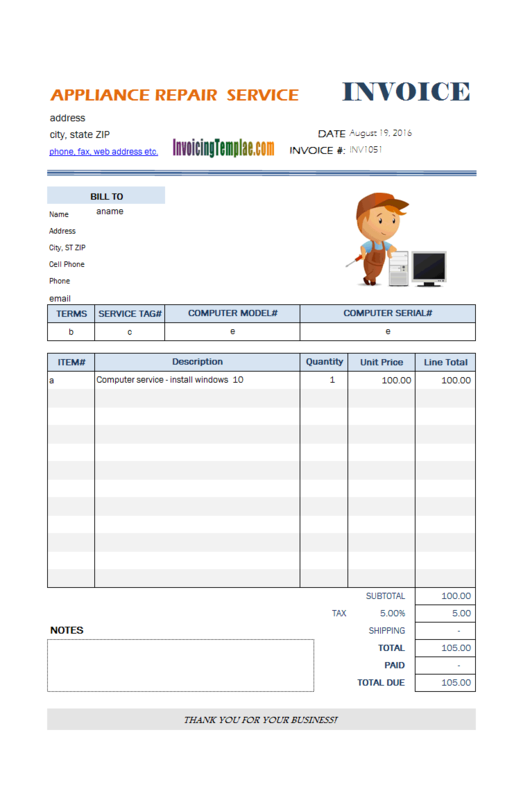 This auto repair invoice sample is also featured on our company web site UniformSoft.com, at Automotive Repair Invoice Template. 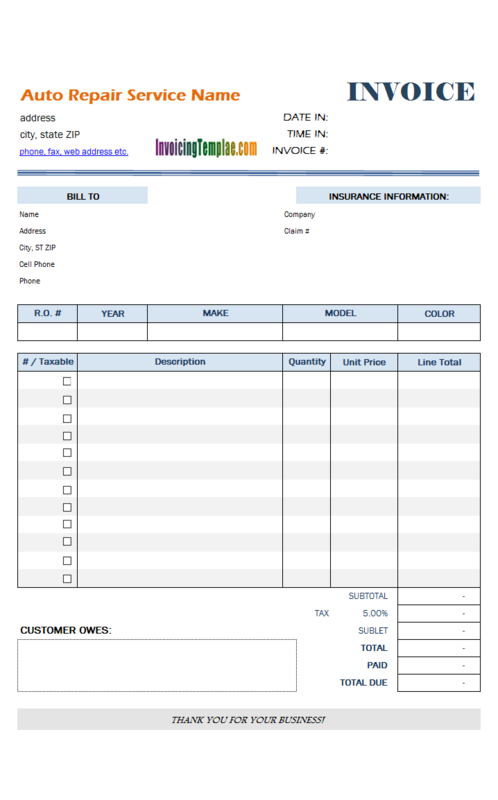 Like other form designs here on InvoicingTemplate.com, Blank Vehicle Repair Invoice is free (offered to you at a price of 0.00USD). It works on Windows XP and all newer versions of Windows, and Excel 2007, 2010, 2013, 2016 or 2019. 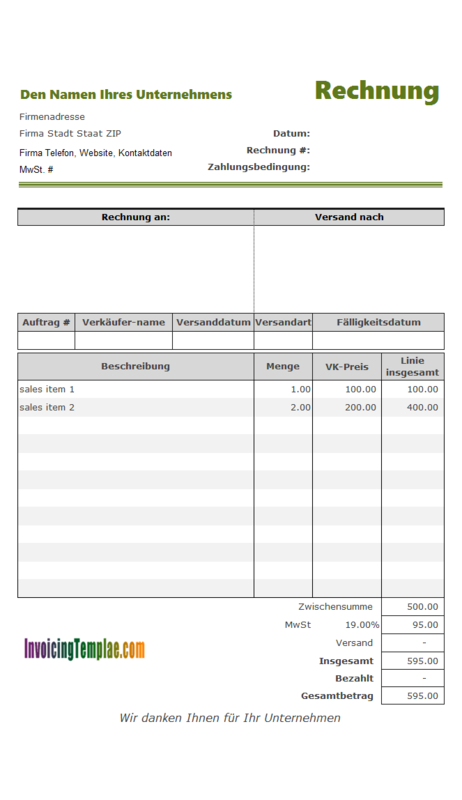 The view of the worksheet is unfreezed by default. 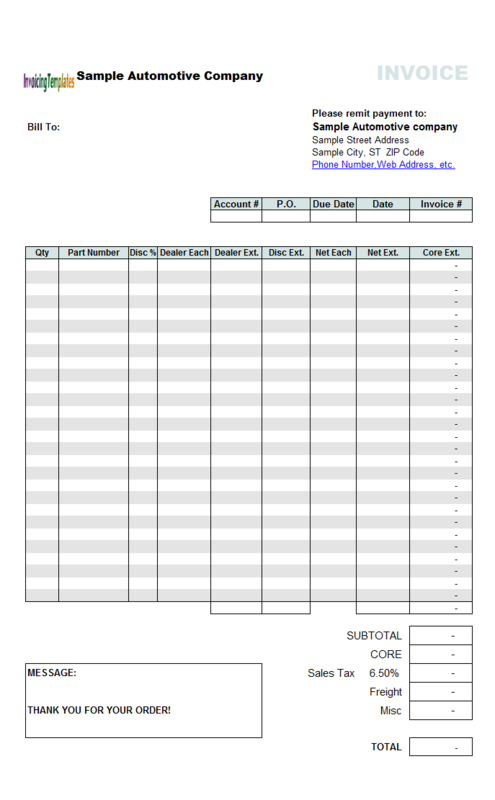 Move all "Taxable" boxes into the printable form. Apply Excel default "Narrow" paper margins. 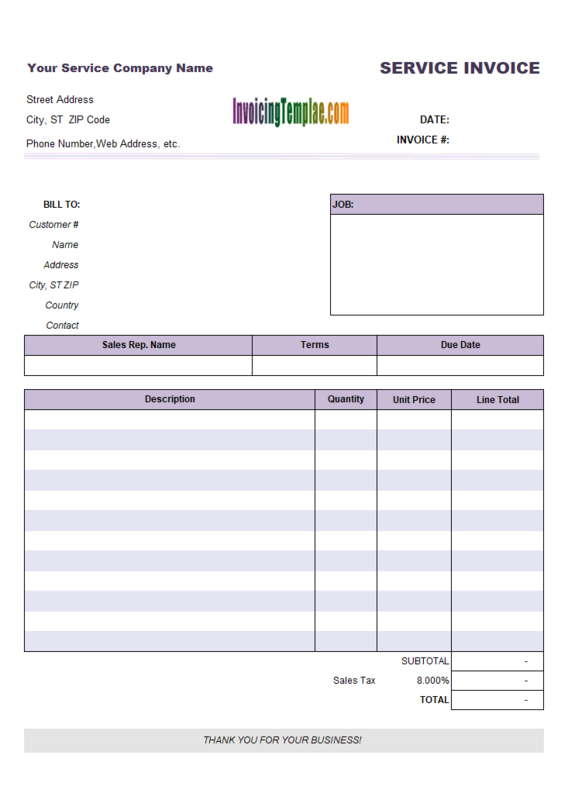 Make "Invoice#", "Date In" and "Time In" cells larger. Added underlined borders to the fields in the client section.